Forgot the password to your Windows admin account? There are a lot of different reasons why one would want to hack a Windows password. This tutorial will show you how to use John the Ripper to crack Windows 10, 8 and 7 password on your own PC. The first thing we need to do is grab the password hashes from the SAM file. Just download the freeware PwDump7 and unzip it on your local PC. 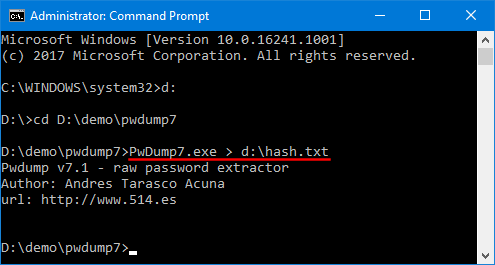 Once you press Enter, PwDump7 will grab the password hashes from your current system and save it into the file d:\hash.txt. As you can see the password hashes are still unreadable, and we need to crack them using John the Ripper. John the Ripper is one of the most popular password cracking tools available that can run on Windows, Linux and Mac OS X. Just download the Windows binaries of John the Ripper, and unzip it. It will start cracking your Windows password. In my example, you can clearly see that John the Ripper has cracked the password within matter of seconds. 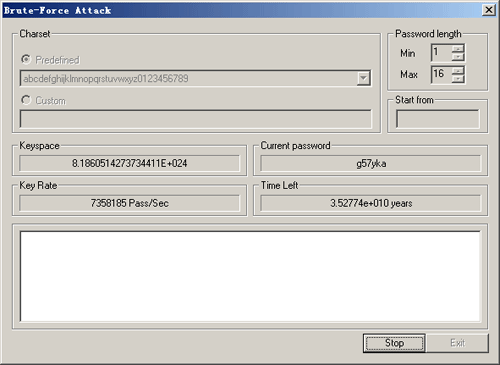 John the Ripper is probably the world’s best known password cracking tool. But its lack of a GUI interface makes a bit more challenging to use. Don’t use it for illegal purposes. Have you forgot your Windows server 2003 password and ended up locking yourself out of your PC? Or perhaps the previous system admin has left without leaving the server password? Well, then this article is for you! In this article you’ll find detailed instructions for you to crack Windows server 2003 password quickly and easily! How to Crack Windows Server 2003 Password? All you need to do is to create a Live CD which contains password cracking utility on another computer you can login, then bring the Live CD to boot up your server that you need to crack a password on. 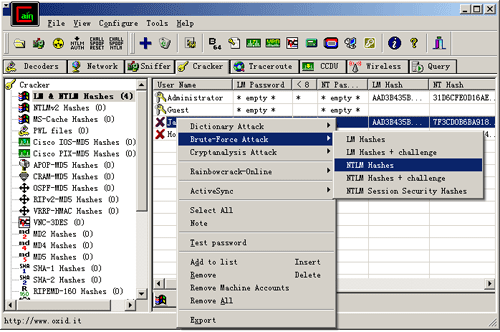 It allows you to crack both local administrator password and domain administrator password on your Windows Server 2003. These instructions are written assuming a bootable CD is being used, but are essentially the same for a bootable USB flash drive. Burn the ISO image on a new CD use your favorite burning software (If you don’t have one, I recommend you use ISO2Disc.) Once the CD is burned successfully, unplug the Live CD from the computer. Insert the Live CD into your locked computer with a forgotten Windows Server 2003 password. Set the computer BIOS to boot with CD drive as first boot device. After booting from the CD, the computer will load the Windows PE operating system inside the CD drive and open up the Reset Windows Password utility. Select your Windows SAM registry hive from the drop-down list. The program will perform a complete analysis of the SAM file and display a list of Windows local user accounts inside it. If you’re going to crack the domain admin/user password, click on the “Reset Active Directory Password” option, the program will show you all domain user accounts on your server. Choose the user account whose password needs to be cracked, and click on “Reset Password” button. It will crack/remove your lost or forgotten password instantly. Remove the CD and re-boot the system and you should now be able to log on Windows Server 2003 immediately. 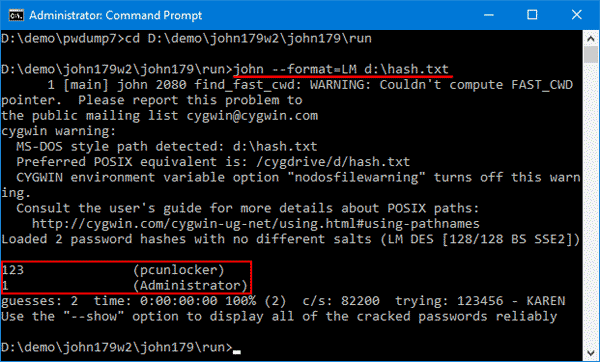 The Live CD could also be used to crack lost or forgotten admin/user password on Windows Server 2012/2008/2000. This is probably the most effective, simple piece of software that you have seen around. Here is the situation: You just changed your Windows 7 password. The next morning when you boot your PC, you can’t remember the password to login to your Windows 7. You got nervous and don’t know what to do. Every passwords you entered were wrong. But, be calm… Every problems have their solutions. Before the work, prepare a blank CD/DVD. Then install and run Password Recovery Bundle on your computer. Click Windows Password button to bring up the CD recording dialog, burn the default ISO image onto your CD. The CD is the Windows password reset CD we’ll later use to crack Windows password. Insert the Windows password reset CD into your locked computer. Set the computer to boot from the CD. Restart the computer, it will start to boot from the CD. After a while, your computer will launch the Reset Windows Password program. The software automatically detects your Windows 7 SAM registry hive and show a list of user accounts existing in your Windows 7 system. Choose the user account whose password you already forgot, then click Reset Password button to remove the password. “How to crack Windows 7 password in a short time?” You’ve done it now! You’ll find you can get into the computer directly without being asked for password. 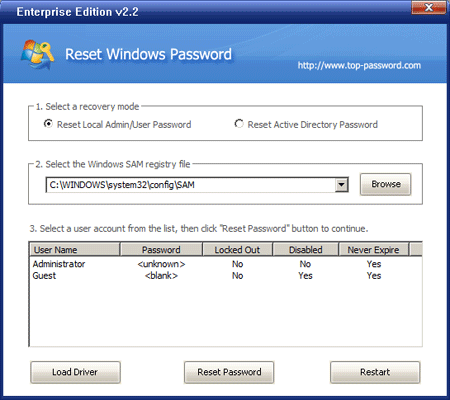 Not only for Windows 7, the Windows password reset CD you’ve created can also be used to crack Windows password on Windows Server 2008/2003/2000 and Windows 8/Vista/XP/Me.